There are few things more unsettling than receiving a bill for services and not knowing exactly what it is you're being asked to pay for, or how the charges were applied. The truth is having a firm grasp of your monthly costs upfront is the main attraction of flat-rate listing plans versus a la carte offerings. Yet billing methods tend to differ from vendor to vendor, and even from product to product. Add to that unexpected fees for "extras" you forgot about and you have a recipe for surprise, which can lead to a fair amounty of angst. With that in mind, we're here to help you sort it out, demystifying your Auctiva monthly statements and the related policies that drive them. First off, it's important to note that subscription fees for Auctiva.com and Auctiva Commerce are charged differently. Auctiva.com fees are billed after the fact, meaning charges accrued in October will show up on November's statement. Auctiva Commerce store fees are charged to your account at the beginning of the billing cycle, whereas sales fees are billed at the end. So store fees for October will be on the October invoice, along with sales fees for September. In both cases, invoices are posted to your Auctiva account on the first of each month, and charged to your credit card or PayPal account three business days later, unless you make a manual online payment. You can locate your current and past invoices by hovering your mouse over the My Account tab and selecting "My Invoices." Simple enough. But hold on a minute… isn't Auctiva Commerce free until March 2010? Why would the statement show a store fee? We're glad you asked. In fact, that's one of the most common questions users have concerning their invoices, according to Michael Davies, Auctiva's Customer Support manager. The free Auctiva Commerce offer is a promotional discount, and the discount is itemized separately—much like on a store's receipt for the purchase of a sale item. The usual fees are applied upfront but credited back at the end of the billing cycle, Davies explains. "Since the credit offsets the charge, you are effectively not being charged for Auctiva Commerce," he says. Customers also frequently wonder about the plan rate they were charged. Auctiva's flexible flat-rate pricing allows users to change plans as often as they wish. However, when changes are made mid-cycle, this can affect the way fees are billed. Often, users who change plans ask why they were charged the rate associated with their old plan. According to Davies, when users change from a paid plan to another plan any time during the month, the new plan doesn't take effect until the first of the next month. Add to that the fact that Auctiva.com plan fees are billed for the trailing month, and an Oct. 15 plan change wouldn't be reflected until your November statement that will be created in December. If you need to change your plan in the middle of a month and have it take effect immediately, Customer Support may be able to help. On the flip side, when users switch from Auctiva's Free Tools Plan to a paid plan, the change takes effect immediately. These customers will notice that the fees are prorated for the month; so a user migrating from the Free Tools Plan to one of the paid plans will pay only a portion of the first month's fee, in accordance with the portion of the month he/she was on the new paid plan. Having said that, customers who elect to prepay their plan will be charged at the time they make their selection, and the prepaid plan and duration they choose will take effect immediately—or for trial users, at the end of their 30-day free trial period. 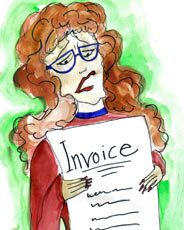 Another common source of confusion on customer invoices is charges for shipping insurance. Auctiva users may notice they've been charged for Auctiva Shipping Insurance policies they don't remember purchasing. If this is occurring on your invoice, it's most likely because you have your Auto-Purchase Rules set up to automatically generate insurance policies under certain conditions—such as when a transaction exceeds a dollar amount you specified. You can review and edit your Auto-Purchase Rules by mousing over the My Account tab and selecting the "Auctiva Shipping Ins." option under "Settings." Of course, if you were charged for insurance policies that you didn't intend to purchase, please contact the Customer Support team. Lastly, when you look at the balance on your Auctiva statement, don't be surprised if it shows a negative number—even if you made a prepayment to keep a positive balance. For the sake of consistency, Auctiva's billing system was designed to have a look and feel similar to eBay's. So just as on your eBay invoice, credits are displayed as negative values and debits show as positive values. Hopefully, you've now got a better grasp of why certain charges occur and what they look like on your statement. If you're ever uncertain about what you're being charged for, and when, check out your "My Account Activity" page under the My Account tab. This page will display a running tally of all your charges since your last invoice, as well as a summary of fees and credits being applied to your account. Terapeak provides data eBay sellers can put to practical use.